In addition to state and local abatements, there are even some federal tax incentives for restoring and preserving homes designated as historic or of historical civic value. Other abatements are for qualified, newly constructed homes. In the vocabulary of real estate, there are three terms that indicate a home's valuation: the Appraised Value, the Assessed Value and the Market Value. 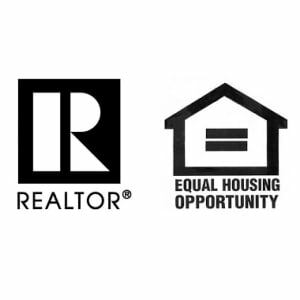 Rarely are these three values the same amount, so it is easy to confuse them when considering buying a home, obtaining a mortgage and contemplating ongoing costs of ownership. We'll tackle them one at a time and then show you how they relate to each other. These numbers are not fixed. That is, there is no single list of values from which the appraiser draws. The appraisal relies on the appraiser's own experience, understanding and knowledge of the area and property type. For the buyer, the appraisal that the mortgage lender uses is important because it determines how much money the lender is willing to extend to the borrower for the property. For an existing homeowner, an appraisal gives an indication of what a home will sell for, or the amount of a line or credit or second mortgage a bank will extend. During a home sale or refinance, the appraiser typically is the choice of the lender but paid for by the borrower. Having a proper appraisal is important to both the buyer and the seller since it determines the loan-to-value (LTV) ratio. An assessed value most often is performed by the taxing agency of a municipality—tax assessor—for the purpose of determining the tax basis of the property. The "assessment" is a percentage of the assessed value that the homeowner pays to the municipality as tax for capital improvements to roads, water and fire services, schools, and other essential services. Typically, the percentage amount of an assessment is the result of a vote on a levy. Different from an appraisal where amounts are based on comparables, an assessment determines values for an entire neighborhood, city, or county during the evaluation period. The assessment is then an assigned number value to which the dollar amount may fluctuate as the municipality has need of more or less income. Therefore, while the actual tax rate may change from year to year, the assessment only changes when the values become outdated due to larger changes in the municipality's structure, such as an increase in fire or 911 services, for example. Some cities or states only reassess homes when they are sold or transferred to new owners. There is no actual way to determine exact market value, given that if any of the circumstances change, the market value changes. The seller's circumstances may change, the property circumstances may change (tornado, hurricane, imminent domain), the buyer circumstances may change (new business relocates to area), the community circumstances may change (school loses funding, commercial or industrial building built nearby) or any of a myriad of factors. So true market value is the price a house will sell for in the 30 to 90 day period. It is not what it will sell for in one week—that would be a price below true value—nor the price of the house if it hasn't sold for 90 days—the price is higher than the market value. While each of these may be similar in amount to each other at a specific point, a property's assessed may trail behind the appraisal and market values if the municipality has not upgraded the assessment in some time. Additionally, the appraisal must relate to comparables that the appraiser can prove to the lender, but cannot account for buyer-perceived value in a specific neighborhood, street or development. For example, if all of a buyer's friends or family live in a two-block radius and a home becomes available in that neighborhood, the perceived value to that buyer may be higher than to another buyer. A motivated buyer may be willing to pay a higher price for a home than its appraised value, thereby adjusting the true market value. In the vocabulary of real estate, various ratios help buyers and mortgage services determine the viability of a purchase. A ratio is a way of expressing the relationship between two values or amounts. Usually, ratios compare how much of one thing there is to another such as a 20 to one student-to-teacher ratio. Expressed as 20:1 or 20/1, it means that on average, there are 20 students for every one teacher. In real estate, there are many sets of ratios used to determine the value of a purchase or sale. Different ratios apply to homebuyers, investment property buyers, sellers, and mortgage lenders. Since ratios are guidelines that can make or break a deal, knowing how ratios affect you and how you can control them will make your real estate transactions smoother. Three that apply to homebuyers are the debt-to-income ratio, the loan-to-value ratio and the price-to-income ratio. The most important ratio to homebuyers is the debt-to-income ratio. Also called the debt-service ratio, it expresses the relationship between how much money a borrower makes monthly and his monthly long-term debt obligations. Lenders use these figures to determine the maximum amount of monthly mortgage payment you can handle. The first number, known as the front or top ratio, is the percentage of your monthly before tax (gross) income, and any other regular payments (child support, rental income, trust disbursement, etc.) used to pay your housing expenses, including mortgage principle, mortgage interest, property taxes, mortgage insurance and association dues. The second number, the back, or bottom ratio, uses the same income and housing expenses as the front ratio, but also adds in any long-term obligations such as school loans, vehicle loans, and other consumer debt (like that couch you bought on a three-year note). It is the percentage of your income used to pay housing and long-term debt expenses. A commonly used ratio is 33:38 (or 33/38), which means that you spend 33 percent of your income for housing, and no more than five percent more is obligated to consumer debt service. That leaves 62 percent of your income to live on (food, auto, health and life insurance, utilities, clothing and other expenses). If you make $6000 per month from all sources, for example, you have $1980 (33%) available to spend on housing, and another $300 (5%) available for long-term obligations. As you can see, if your housing costs go down (lower mortgage payment) you can have more available for long-term debt. Closing costs include all of the fees and costs associated with completing the sale or purchase of a home using a mortgage, that are in addition to the actual cost of the property itself. These costs are due at the "close" of the deal, with the disbursal of loan monies, transfer of deed and completion of other final paperwork and are included on your HUD-1 settlement statement. Some of these costs go to the lender and some to third-party participants. Since many different costs may be included at closing, we'll separate these out for you. Escrow fees: the fees charged by the escrow company to set up and maintain escrow accounts and pay out the monies when require may be combined into the term "escrow fees". These can also include wire transfer fees, legal documentation preparation fees, notary fees, demand order fees and the like. Points: In simple terms, a "point" is one percent of the total amount of a mortgage loan. There are several types of points connected to loans, but the two most common are origination points and discount points. Title search and title insurance fees: a title search is a detailed review of historical records relating to the property in question. The title search may reveal liens, unpaid taxes, judgments against the seller and other property defects. Title insurance protects the buyer or lender against any such defects that may have been missed during the title search. There are two types of title insurance, one that protects the lender's interests and one that protects the buyer's interests. Typically, the lender's title insurance is a required fee while the buyer's title insurance is optional. Underwriting fees: a lender charges a fee for "underwriting" the loan on your home. Often this fee is one of the largest on your Good Faith Estimate and closing statement. Sometimes document preparation fees are included in underwriting fees. The underwriting process is what a lender uses to determine the risk of offering a mortgage to a specific borrower. help. Here are some types of loans you might investigate. Conforming Loan: When a loan conforms to the guidelines of FNMA/FHLMC (Fannie Mae/Freddie Mac) in both terms that may be purchased by FNMA or FHLMC it is conforming. Loans that do not match these guidelines are non-conforming loans. If the loan does not conform due to its amount, it is a Jumbo Loan. Conforming loans may have either fixed interest rates or adjustable interest rates. Conventional Mortgage Loan: When the loan amount is within the FNMA/FHLMC guidelines, and the federal government does not insure or guarantee the lender payment through the FHA or VA, the loan is conventional). Conventional loans may have either fixed interest rates or adjustable interest rates. FHA Insured Loan: Loans insured by the Federal Housing Administration. Borrowers must meet specific criteria to qualify. FHA loans often require lower down payments. VA Loan: A VA loan is a mortgage loan offered to American Military and veterans guaranteed by the U.S. Department of Veterans Affairs (VA), typically at preferred interest rates and/or low to no down payment requirements. Reverse Annuity Mortgage or reverse mortgage is a special type of mortgage created for retirees on fixed incomes. They use the loan to generate income from the equity in their homes. They continue to live in the home but ownership reverts to the lender when the last borrow moves from the home. Fixed-Rate Mortgage: A loan secured by real estate that has a fixed interest rate and payment amount for the term of the loan (normally 15 or 30 years) is a fixed rate mortgage. Adjustable Rate Mortgage also called ARM or variable rate mortgage: ARMs have interest rates that can vary or adjust at pre-determined intervals. Often the original rate and payment are lower, allowing borrowers to qualify more easily. The adjustment basis is an index, often the LIBOR—which stands for The London Interbank Offered Rate, or on the prime rate—the lowest rate of interest banks offer their most credit-worthy customers. Fully Amortizing Mortgage: A fully amortizing mortgage is a mortgage with scheduled uniform payments that will fully pay-off the loan over the term of the mortgage. Balloon Mortgage: Balloon mortgage have short terms (3 years, for example) with fixed principal and interest payments at a reduced rate that do not fully amortize (or pay off) the loan. At the end of the term, the entire balance of the mortgage is due at the end of the term in a single payment. Balloon mortgages offer lower payments during the term, but because the lump sum is due at then end, a balloon is useful for buyers that intend to sell within the term or expect to be able to pay the remainder in full or qualify for a better loan by that time. A Super Jumbo Loan is a loan with an amount more than $1,000,000. Graduated Payment Mortgage (GPM): A graduated payment mortgage has payments that are lower in the early years but increase on a scheduled basis until they reach a level of amortization. Bridge Loan: When a buyer is also selling and the purchase of the new property depends on the equity in the old property, a bridge loan allows the purchase to complete before the sale is complete. Once the older property sells, the borrower must repay the bridge loan. Construction Loan: Short-term loans to funds construction or improvements are construction loans. Typically, the construction loan is repaid with the mortgage. Home Equity Loan: A home equity loan is a loan made against the equity in a home. The borrower may utilize some or all of the loan and pays interest only on the portion used. Nonrecourse Note: A nonrecourse note is a type of note in which the borrower has no personal liability for payment. Open-end Mortgage: An open-end mortgage is a mortgage that may be refinanced without rewriting the mortgage contract. Refinancing: Refinancing are the proceeds of a new loan used to pay off an existing mortgage on the same property. Wraparound Mortgage: A wraparound mortgage is a type of owner financing when the seller owes a mortgage on the property that is less than the selling price. The seller loans the buyer the "difference" between the selling price and the existing loan and the buyer's payments cover both the wraparound mortgage and the existing mortgage. Finally, let's learn some background terminology that will help you understand the structure of loans and make their descriptions less confusing. Fannie Mae is a nickname for FNMA — the Federal National Mortgage Association. FNMA is a privately owned corporation. It purchases FHA, VA, and conventional mortgages. Ginnie Mae is the nickname for GNMA — the Government National Mortgage Association. It is the U.S. government agency. It purchases FHA and VA mortgages. Freddie Mac is the nickname for FHLMC — the Federal Home Loan Mortgage Corporation. FHLMC is a corporation owned completely by the Federal Home Loan Bank System. FHLMC purchases FHA, VA, and conventional mortgages. We can help you determine the right loan options for you, and can connect you with mortgage lenders to help you realize your home-ownership dreams, so give us a call today.